When Anis Mojgani speaks, people listen. He articulates each vowel and consonant, like bullets firing, to deliver his ethereal poems. His cadenced words penetrate far deeper than the ear drums. Mojgani, like his slamming contemporaries, pulls down truths from the stars, shines a magnifying glass on the atoms of love and gives wings to the mundane. Where this art soars is in its connection of poem to entire audiences in rapid several-minute-long flights—something the written word cannot do. 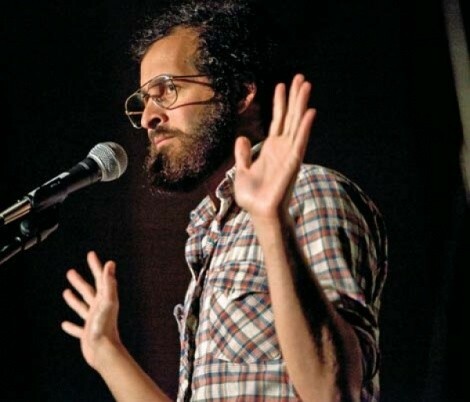 With weighty words, Mojgani won the individual National Poetry Slam in two consecutive years—2005 and 2006; Buddy Wakefield (The Poetry Revival co-headliner) is the only other to have accomplished that feat. His first victory became renowned when, in the middle of the finale, the lights went out; undeterred, Mojgani spoke through the black, lit up by the audience’s flashing cameras. If he can handle that, then he can certainly handle the Sundance crowd. Park City-based hip-hop act Broken Silence follows, rounding out the evening.